Small, technically proficient teams composed of PQA members, to develop individual metrics. 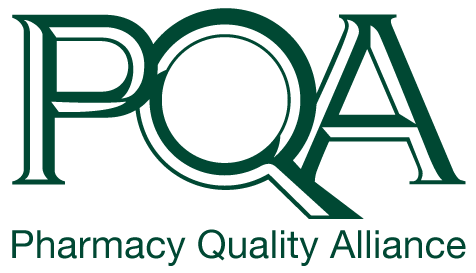 PQA members apply to participate on the teams, and participation is based on knowledge and expertise (e.g., clinical, analytics, measure development) aligned with the specific measure concept. Measure Development Teams meet monthly via webinar. The objective is to develop specifications for a measure concept evaluating appropriate medication use to prevent cardiovascular outcomes in persons with diabetes. Description: The percentage of individuals 18 years and older who were persistent to basal insulin therapy during the treatment period. Small, technically proficient teams composed of PQA members, to develop individual metrics. PQA members apply to participate on the teams, and participation is based on knowledge and expertise (e.g., clinical, analytics, measure development) aligned with the specific measure concept. Measure Development Teams meet monthly via webinar. Small, technically proficient teams composed of PQA members and external experts who apply or are invited to develop measure concepts. PQA members who apply to participate on Task Forces are selected based on knowledge and expertise aligned with the specific measure concept(s). Task Forces are used when external expertise is necessary to fully explore the feasibility of measure concept ideas, oftentimes in areas that are new or complex. Task Forces meet monthly via webinar. The objective is develop specifications for a measure concept providing standardized measure of time between a specialty pharmacy (SP) receiving referral for a first fill for a medication to SP scheduling delivery/dispensing of the product. Description: The average time between a specialty pharmacy (SP) receiving the referral for a first fill for a new medication to the SP dispensing/scheduling delivery of the prescription. The objective is to develop specifications for a measure concept evaluating persistence to basal insulin in individuals with diabetes. Participating on a PQA Measure Development Team or Task Force as part of the PQA Measure Development process is an exclusive opportunity offered through PQA membership (or through limited invitations to select non-member organization experts). Your participation on PQA Measure Development Teams and Task Forces is welcomed! Selection to participate on an MDT or TF is completed through and application process. Notification of a new MDT or TF is announced to the PQA membership via e-mail and applications for appointment are considered before the launch.